Nigeria still remains the dominant crude oil producer in the West African region, but the country has clearly lost its monopolistic claim of being the sole producer in the region. All around West Africa, new crude oil reserves are being discovered almost on a monthly basis. Ghana, Ivory Coast, Chad, Mauritania are among the few West African neighbours where crude oil in commercial quantities have been discovered in the last few years. In 2010 and 2011, commercial quantities of crude oil were discovered in Sierra Leone, Ghana, Niger, Cameroon, Gabon, and Angola. Discoveries have already been confirmed in Liberia, while explorations are on-going in Togo, Mauritania and even Benin republic. The West African Coast has become a crude oil coast with significant discoveries and more expected. Outside West Africa, East Africa, especially Kenya and Uganda are all positioned to become major producers of crude oil within the next one to two years. With proven crude oil reserves of about 36 billion barrels, Nigeria is like a giant compared to its neighbours in the crude oil store but then Nigeria also has the largest mouths to feed compared to its African neighbours. Angola has a population of about 18 million but with proven crude oil reserves of about 13 billion barrels, an average of 722 barrels per head. Nigeria on the other hand has a population of about 160 million with proven reserves of 36 billion, an average reserve of 225 barrels per head. So Nigeria has more reserves but it has more mouths to feed and therefore should be prudent in managing the revenues that come from those reserves. That, however, seem not to be the case with the constant bickering between the National Assembly and the Presidency over an appropriate benchmark price for crude oil revenues rather than an appropriate beyond oil strategy. With the increasing discovery of crude oil reserves all over Africa, Nigeria’s proven reserves buried underground are becoming less valuable. Simple economics teaches us that the more the quantity of any commodity, the less the price. With increasing number of countries joining the crude oil producing club, and most of these countries having more crude oil than they actually need, not only does it reduce the number of countries that Nigeria can sell crude oil to, but also increases the number of countries in the market to sell crude oil. The oil outlook looks even bleaker when the fact that the US is increasingly becoming less dependent on external crude oil is thrown in. The Energy Information Administration (EIA), the US agency which provides data on US energy consumption notes that only 45% of petroleum consumed in the United States were imported in 2011, the lowest since 1995. The EIA gives different reasons for the decline in US consumption of foreign crude oil. The reasons include, the economic downturn after the financial crisis of 2008, improvements in efficiency, changes in consumer behaviour and patterns of economic growth, increased use of domestic biofuels (ethanol and biodiesel), and strong gains in domestic production of crude oil and natural gas plant liquids, expanded domestic supplies and reduced the need for imports. Efficiency, changes in consumer behaviour, substitution of petroleum products with biofuel and increased crude oil production in the US are permanent changes that will likely see the world’s largest consumer of crude continue reducing its consumption of the product. There are analysts who expect the US to eventually become a net exporter of crude oil soon maybe as early as 2013. In 2011, Nigeria supplied just 10% of US crude oil needs compared to an average of 20% a few years ago. China and other Asian countries have moved in to fill the drop in demand from the US, however, with potential supplies coming from many other sources, the natural trajectory for future crude oil prices is a downward spiral. Many agree that tensions in the Middle East accounts largely for current price levels. But while the dynamics of the crude oil environment is changing fast, Nigerian leaders seem stuck in lethargic past unable to take the necessary steps to take maximum advantage of its current crude oil resources or diversify its economy from over dependence on a volatile product. Nigerian leaders seem not to be reading the writing on the wall. Current crude oil prices, which bring in 80% of government revenues, are not sustainable in the very short term. There are analysts estimating that a steep fall is likely very soon with projections that it may fall as low as US$ 30. True. There are alternative forecasts that even see crude oil prices rising, fuelled by demand from China and India assuming both countries sustains their current economic growth rates. But the uncertainty over the future direction of crude oil prices certainly makes it a slippery platform for Nigeria to continually benchmark its economic future. There is an urgent need for a post oil boom strategy. 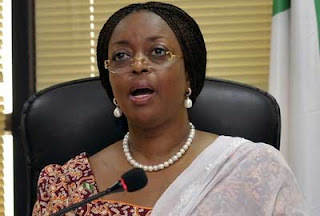 Any sustained drop in crude prices, as it happened in 2008, when prices dropped to as low as US$ 40 per barrel, would certainly plunge the country into a financial crisis with current external at US$41 billion reserves able to cover export for just eight months and portfolio investments in Nigerian bonds reaching significant levels. The debate that Nigerian leaders should be having should not be about an appropriate crude oil benchmark but a debate about the best strategy to diversify the Nigerian economy from its over dependence on oil revenues and what incentives should be in place to maximize our current crude oil and gas reserves before they become less valuable commodities in international trade.